At Cricket’s Performing Arts, it is our desire to develop the talents of our students and to cultivate an appreciation for all the fine arts, regardless if they are recreational or the more serious student. We focus on keeping class sizes small (under 15 students) to properly coach and instruct students on an individual level. Our teachers come from a range of backgrounds and disciplines, making Cricket’s Performing Arts a diverse collective of expertise. The show was just incredible. It was our first year, as you know, so I didn’t know what to expect. It so far exceeded my expectations (which were high to begin with) and I just wanted it never to end. You (and your team) really have an amazing gift. 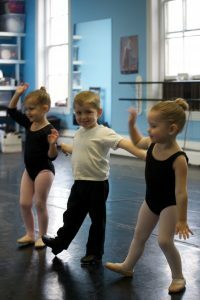 I never knew how much my children would gain from dance class…Not only are they doing better in school but they are more confident,focused and respectful of others and the best part, they can’t wait to go to class!.